Wheeler Park is a new-home community of single family homes in Heber City, Utah. This beautiful community includes lots of all sizes. Enjoy Heber Valley's better air quality and close proximity to Deer Creek and Strawberry Reservoirs. Wheeler Park residents enjoy fine dining in the area as well as historic eateries like Dairy Keen. The neighborhood offers easy access to Park City and a quick commute to Orem. 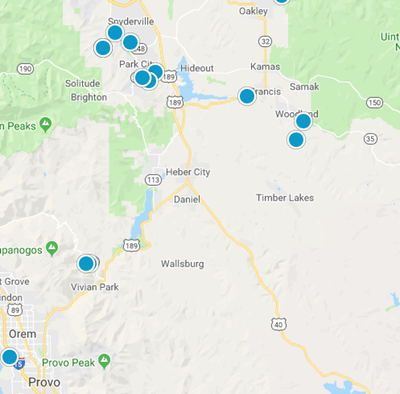 Community Highlights -Lots from all sizes -Beautiful Community -Close to Park City -Fine Dining -Better Air Quality -Close to Deer Creek and Strawberry Reservoir -Easy Commute to Orem.